The Fitbit Alta is a few years old but it still does what a lot of people require from a fitness tracker/step and sleep counter. You can get it for £69 right now at John Lewis and Currys. The RRP of £99 is frankly pushing it a bit, but at that discounted price, the Alta feels like a good deal. What do you need a fitness tracker for? Tracking exercise or motivating you to walk instead of taking the bus? If the answer is the former, you'd be better served by a fitness tracker with more features, (such as a heart rate sensor) or even a GPS running watch. But if you want a little inspiration, to keep track of how far you've walked, and maybe push yourself to be a little more active - a basic fitness tracker is the way to go. The Alta is Fitbit's second wearable released in 2016, after the Blaze, and carries the company's new, more 'design-y' aesthetics. It's a good lookin' wearable, and easily the most attractive on that Fitbit makes. It's thin, lightweight and comes with a number of band options from durable rubber to more fashionable leather. It's a massive improvement from previous Fitbits, and will look less out of place when worn with a dinner dress and bangles. Unlike similar-sized Jawbone trackers, the Alta has a 1.4-inch OLED display packing 128 x 36 pixels. It's a monotone screen, and as well as showing your fitness data, will also display caller ID, calendar and text message alerts. So what does the Fitbit Alta actually do, and where does it sit in Fitbit's lineup? It's one of the company's most basic trackers, it'll count steps, take a stab at automatically detecting other exercises, estimate calorie burn, and monitor your sleep. How well does it work? Good enough. Step counting is reliable, although as with all previous Fitbit's - the Alta does tend to overestimate a tad. As a step counter, it's probably the best you can get. As the Fitbit Alta uses the same algorithm as the Fitbit in the video, and we found similar results during this review. The calorie burn is inaccurate - you definitely shouldn't use this as part of a weight loss or exercise routine. The Alta doesn't have a heart rate tracker, making the results less accurate. There's no way of telling if the sleep monitoring is accurate, it tells whether you're in deep or light sleep. It's interesting, but not incredibly useful. Still. Automatic tracking of exercise is surprisingly accurate, we tried it with running and cycling, and the Fitbit got it more or less correct. 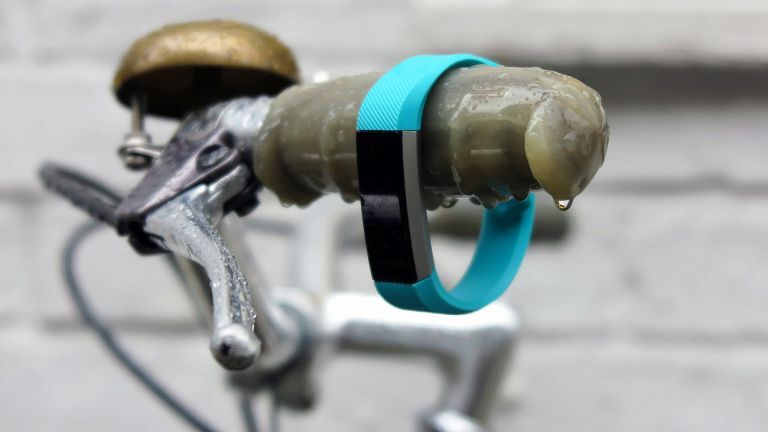 Of course, if you wanted to track those activities a dedicated activity tracker would be better. The Fitbit Alta comes with YET ANOTHER proprietary charge, any other existing Fitbit charger will not work with the Alta. That's annoying. Fitbit's app is excellent. Fitbit has sold more wearables than anyone else so it has a leading ecosystem, world leaderboard, and chances are your friends have one as well - so you can compete against them to be the fittest of the fittest. There are brief summaries which aren't overwhelming, and which can be drilled into for more detailed info. You can also log food, water and weight. Will Alta your perception of cheap fitness trackers? No. But it's a sleek, attractive fitness tracker that works well. Also, your friends probably have a Fitbit as well, so you can compete against them in "fun" fitness leaderboards. You really can't go wrong with a Fitbit, is what we're saying. More into running and GPS watches?